Napping in a boat under the shadows of the U Bein Bridge in Mandalay, Myanmar. 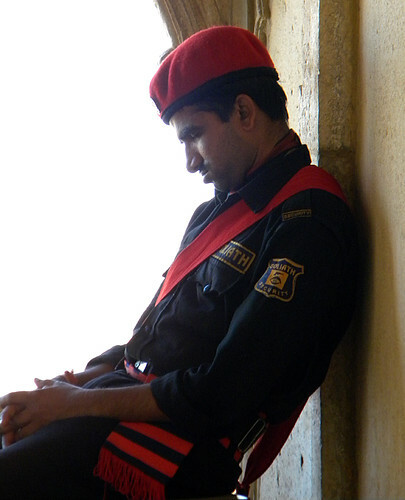 Goliath Security on the job (India). 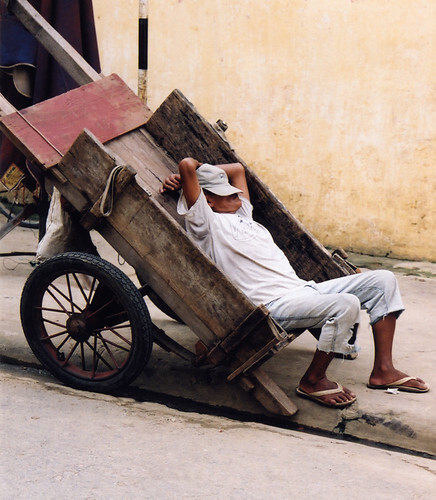 Break time (Hue, Vietnam). 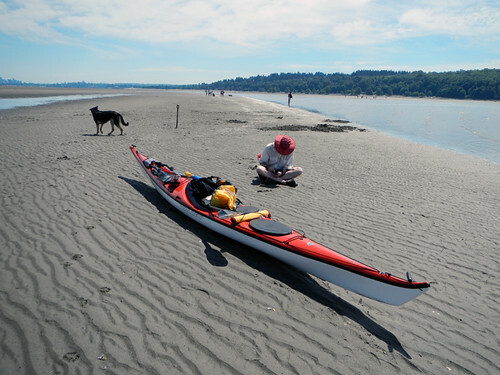 A kayak stop for a bit of social networking at Spanish Banks Beach at low tide (Vancouver). Delft’s Cafe LEF had comfy lawn chairs, and even a bit of fake beach (Holland). Now we’re talking! 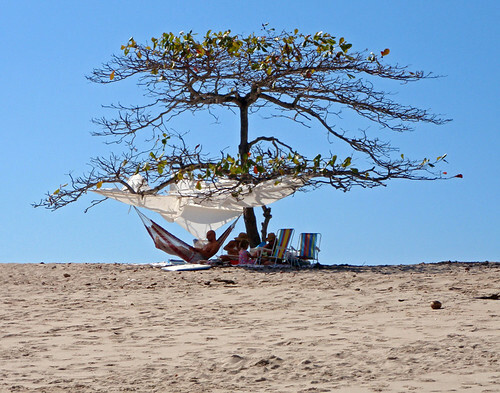 Total relaxation at Playa San Juanillo in Costa Rica. More of the Weekly Photo Challenge: Relax. You’ve really nailed the theme this week! Bravo! I especially like the hammock hanging beneath a makeshift shade cloth strung in a desolate tree. Gives me and idea to add shade in my yard next summer. It does look really comfortable, doesn’t it? Terrific set! #1 and #3 are my favourites. Myanmar was really hot and at mid-day everyone retreated for a nap, usually in or around a temple, except for us of course, we were the ‘mad dogs’ out there taking photos of everyone.